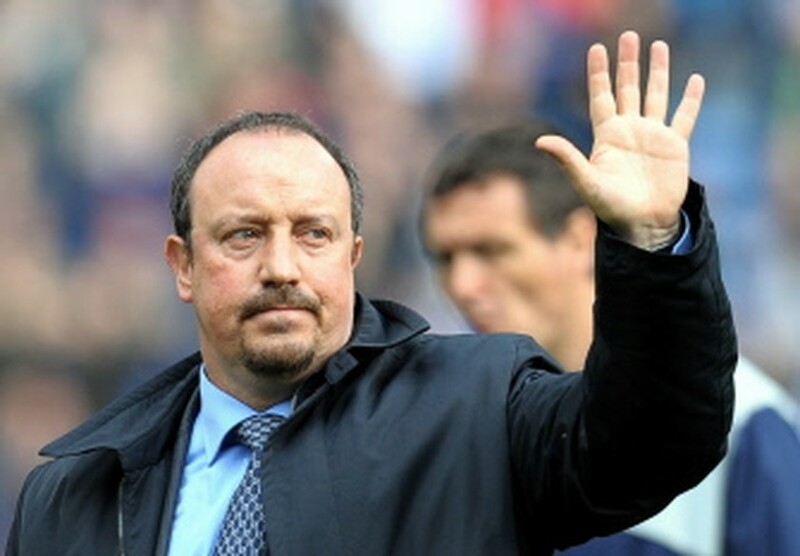 England, May 8, 2010 (AFP) - Rafa Benitez takes charge of his 228th league game as Liverpool manager at Hull on Sunday and it could prove to be his last as talks over his future continue. Benitez, who is due to celebrate his sixth anniversary at Anfield next month, will hold further discussions with Reds chairman Martin Broughton and managing director Christian Purslow in the coming days amid rumours that Juventus have made the Spaniard an offer to become their coach. Benitez, who has endured a difficult season, cancelled a scheduled press conference on Friday that had been called to preview his team's visit to relegated Hull this weekend, a move that only served to fuel speculation about his future. After a woeful campaign which has seen Liverpool knocked out of the Champions League in the group stages, fail to finish fourth in the Premier League and come up short in all the other cup competitions as well, Benitez's side have reduced to hoping that Aston Villa slip up to give them a chance of finishing sixth. It is a miserable list of failures that hints at the turmoil at Anfield this season. With Xabi Alonso sold to Real Madrid, Alberto Aquilani failing to convince, Fernando Torres missing with injury for long periods and Steven Gerrard suffering a dip in form, Liverpool have gone backwards over the course of the last 12 months. And not only on the pitch. Benitez's future at the club remains unclear after a fourth season without a trophy. It was his assistant, Sammy Lee, who was left to do the talking ahead of the final match of the season. "It's been subdued to be frank because of the realisation we haven't got where we wanted to be in this league," Lee said. "We don't like losing and we've lost 19 times in all competitions this season, which is unacceptable here. "We're very confident we can bounce back next season. We have to be. Liverpool is all about success and everybody demands success at this football club - rightly so. "We'll be doing all we can in the close season to make sure we do bounce back. Staff, players and supporters, we've just got to make sure we put it right for next season." Defender Jamie Carragher and midfielder Maxi Rodriguez both face a race against time to be fit for the season finale. Carragher twisted his ankle in the tame 2-0 defeat to Chelsea last weekend while Rodriguez picked up an adductor injury. The end of Hull's two-season stay in the Premier League was confirmed last Monday after a 2-2 draw against Wigan. Yet manager Iain Dowie, who replaced Phil Brown in March on a short-term basis, is keen to remain in charge next season. "I was delighted with the way the players handled themselves at Wigan and I'm expecting the same again," Dowie said. "They need to have some pride in their performance and give the supporters something to shout about, because the fans have been fantastic in every game since I came to the club and deserve a win. "It won't be easy, of course, because Liverpool are top quality. They might have had a disappointing season by their high standards but they will want to finish it off on a high and it's up to us to stop them from doing this."